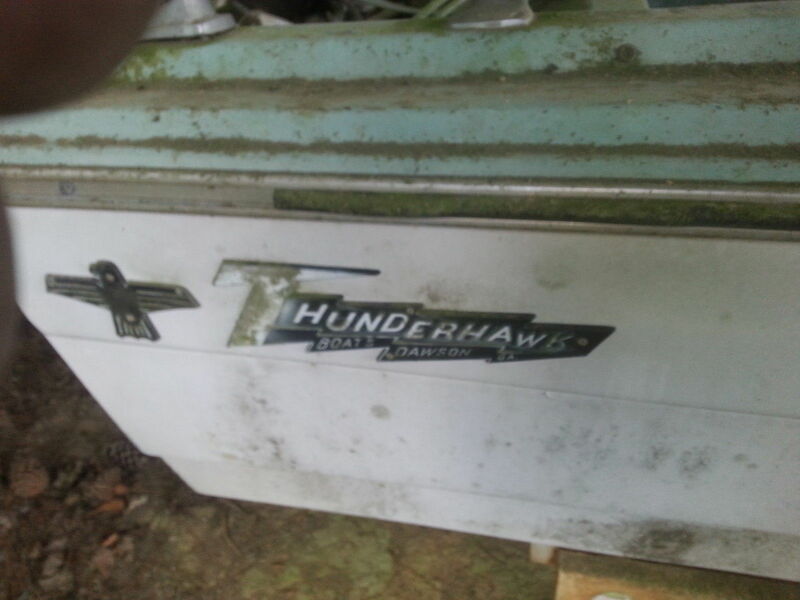 I have a 1968 ThunderHawk? I believe it is. The dash emblem says ThunderChief 1600 but the emblems I am seeking are the ThunderHawk set that is on the right and left stern sides. I am restoring it and the ones that are on it are there but all broken up. I found them at one time online but for the life of me I can not find them now. Any ideas where I can find them? 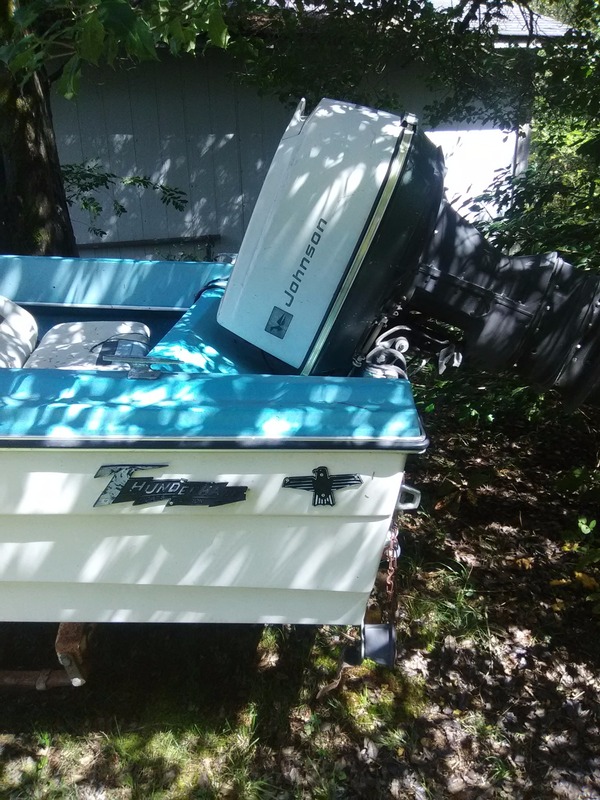 The first pic is on my boat and the second pic is what they look like. I guess no one has an answer for this one.. If the ThunderHawk you are trying to replace is a decal, you could probably have a local shop make up a set for you. I use a local shop here to fabricate vinyl logos and medallions quite a bit. I use www.nymarine.ca to obtain original type decals for my outboard motors. www.smooth-on.com to obtain products to fabricate a set out of plastic, and then have a shop chrome plate them for you. Much cheaper than having a chrome shop clean up your originals, and re-plate them - especially if your originals have pits or flaws.